The 203, available from 1948 and certainly in the Energic 518 model from the early 1950’s. 1290cm3 producing just 18cv at 1750 rpm and 22cv at 2400 rpm.The characteristic of the engine where; straight-four unit employed push rod-actuated valves and hemispherical combustion chambers and a cross flow cylinder head. In car form some 685 828 cars where manufactured. The 403, available from 1955 and certainly in the Energic 519 model from the late 1950’s. 1468cm3 producing just 19cv at 1750 rpm and 26cv at 2400 rpm. The characteristic of the engine where; straight-four unit employed push rod-actuated valves and hemispherical combustion chambers and a cross flow cylinder head. 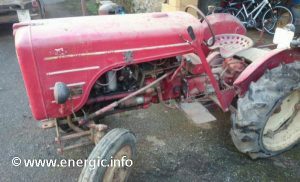 See more about Peugeot Engined tracteur 518 here. 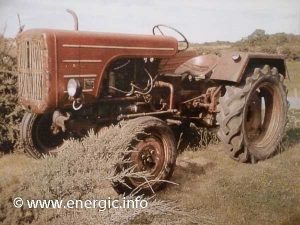 See more about Peugeot Engined tracteur 519 here. 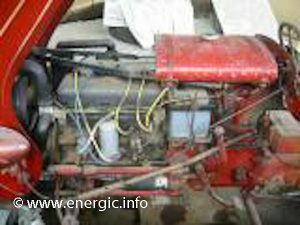 See more about Peugeot Engined tracteur 519 TMD here.